Hello from sunny SoCal. I understand many of you are freezing in your homes, while I am not embracing the warm weather I have here – hey, I would like one month of winter. Anyway today we have 2 more Donruss rack packs for your viewing. I wasn’t going to buy these but I got caught up in the hype. You see I went to Target and Walmart yesterday for grocery shopping. During my perusal of the card aisle at the end of my visit at Target, I noticed that everything that they had, minus the Lakers team sets, of this year’s basketball was sold out. Even the crappy gravity packs were sold out. 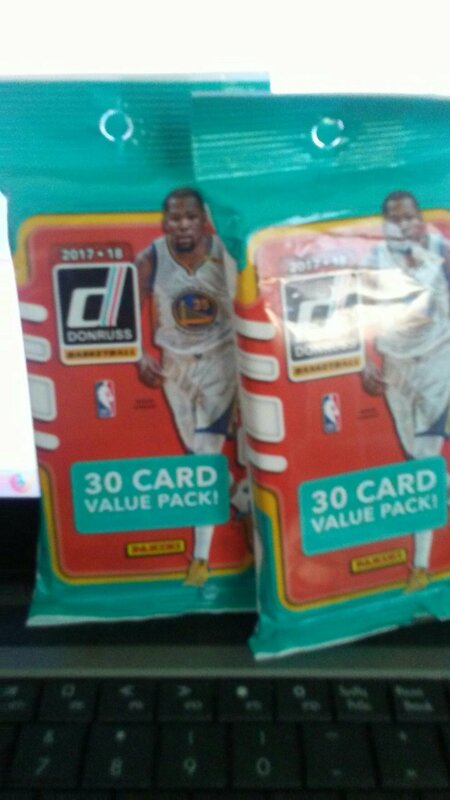 So when I went to WalMart and noticed that they had a bunch of Donruss I was caught up in the hype. I almost grabbed a hangar box but I went with what I knew. 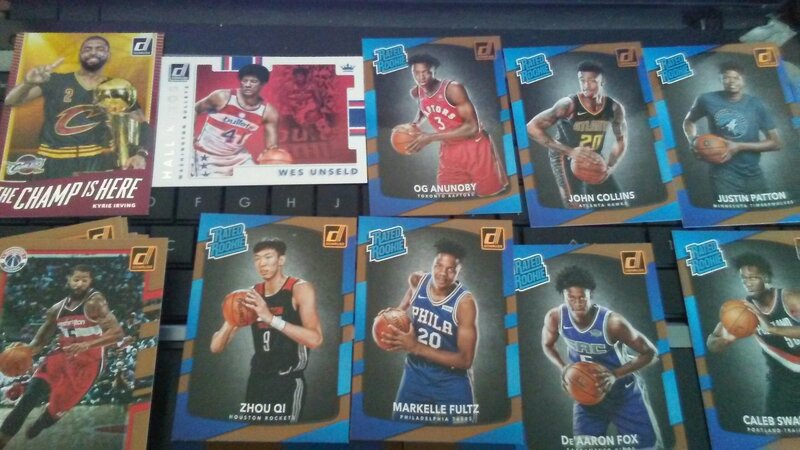 I wanted more rookies; plus hangar boxes almost guarantee no hit. At this rate, I might as well go for the set. At $5 a pack, I have been very happy with these.